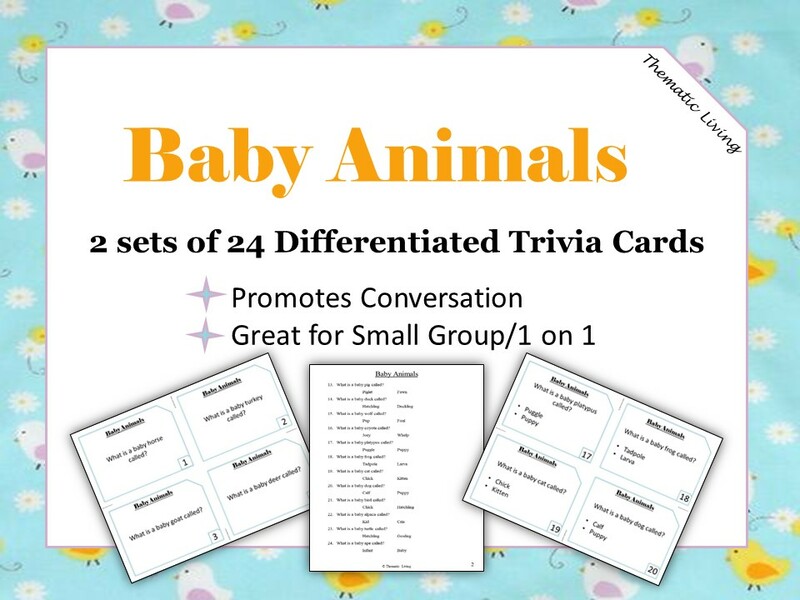 Baby Animals Trivia helps to strengthen and maintain skills for speaking, listening, reminiscing, critical thinking, communication, storytelling, and imagination. Each card contains large print so that the words are easy to read. Just print on card stock, cut and laminate to start the fun. You may use a tablet or computer, if printing is not an option to display each card or list.